Here I will be posting any designs that I have made. Continue checking back for you never know when I will have new designs made. If you like what you see, I also am currently taking requests. Just tell me what you want (if you have a pic of what you want it is even better) and I will try my best to create it. I will make the design in however many Design slots I think would be best, unless specified (if you want the picture to be fitted into only one design I will do it). Scatman, I posted up the finished product for the request you made. The colors are a little changed up, so tell me what you think. Do just I see it, oris the upper side of his cape very... flat? I like the solution fot he mask by the way. That guy on the bottom looks familiar :O. He is the main character of an anime called Code Geass. It's a mecha anime so that would explain all the giant robots. Umm how would I get it from your game? 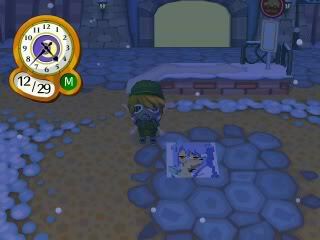 I would have to visit your town, since i cant open my gates. 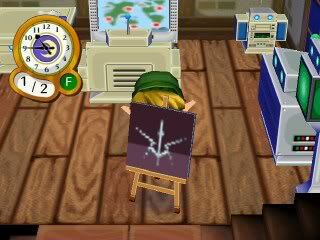 I've never traded designs before...but I guess I would do it thorugh the tailor shop. ~Update~ New quick design I made more a friend...took me like 5 mins to do. 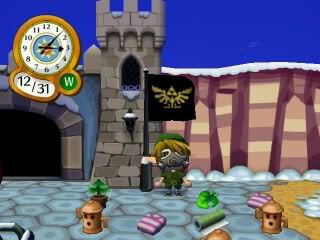 Its the Hylian Flag! Also Scatman, I apologize but My remote ran out of batteries and I can't seem to find any in the house....so I can't play at the moment. Ima go pick some up at the store later...but then I'm going straight to this New Years thing..so I probably wont be able to get to you till tomorrow. EDIT: Can you also make the background white, the letters black, and the heart red? Looking at your designs, this request seems simple. 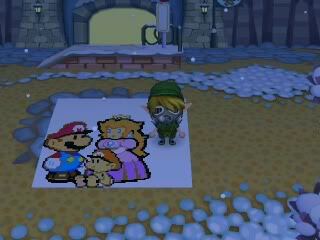 I'll pay bells too if you'd like. Sorry for not posting sooner. I was busy over new years eve/new years. Scatman, just tell me when you have your gates open and i can go over and place the designs in the tailor shop for you o get. Oh and Chris, I'm assuming you want it as a 1 tile thing, like to put it up as a flag? I'm currently working on a design for my friend of Isaac from GoldenSun. 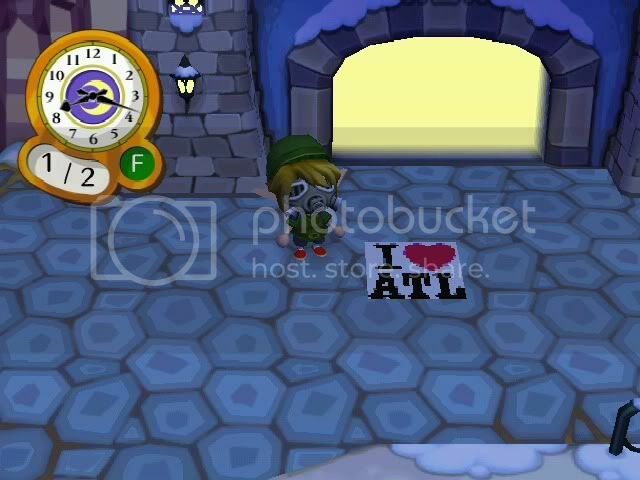 Also on the I heart ATL design (Which should be done soon) But as soon as I'm done with those, I should be able to make that logo for you Litet. 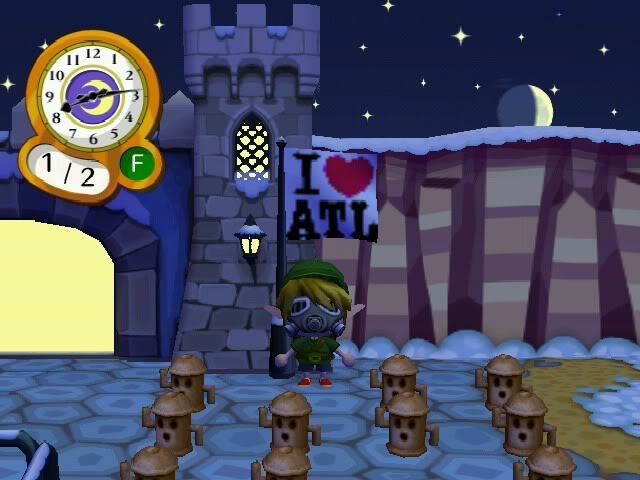 Chris, I finished your I<3ATL Design...but after looking at it, I realized that it would look better if the letters and the heart was smaller. So I think I'm gonna redo it. But it should still be done by tonight. regardless here are the pics of the one I have done now so you can see what it looks like. Basically I'm just going to remake it it so the design is a bit smaller and there's is a bigger white boarder. As you can see the letters are touching the boarder on the bottom and right sides, and are pretty close to the boarder on the left and top. I think it would look better if they weren't so close and smaller. ok here it is a bit smaller, I think it looks better. hmm why are my pics coming out huge now? 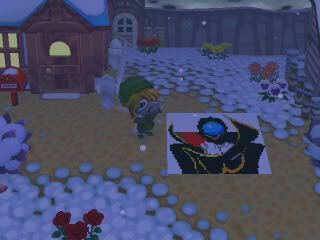 thanks a bunch Isaku, I'll be using that as my flag, I'll use the smaller version. 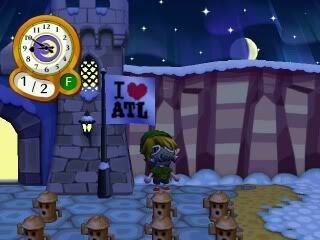 I live an Acworth, about 30 mins. away. Ok this is how it turned out Litet...I'm not really al that fond of it though. And as for the background, brown was the only other color left on the palate lol. Yea I should be able to make it black. You will have to give me a bit though cause I am letting my sis play at the moment. Subject: Re: Isaku's Design Emporium!